I recently met (at least by phone) yet another women who is passionate about cycling – Rebecca Domange. Bec has been racing for just a few years and now wants to pass on what she’s learnt by mentoring other women and even starting her own team in the future. Melbourne-based Bec Domange took up cycling about five years ago after injuries from running and basketball forced her to find a new sport and form of exercise and in her own words soon became addicted. She joined her local club – Caulfield-Carnegie and started racing E grade against the 10 and 11 year olds (I can definitely relate to this) which she found very frustrating. She soon overtook the youngsters and headed up the grades to mix it with the older guys and within two years was racing B grade. But that wasn’t enough for Bec, she entered an open racing event which featured some of the best female riders including Rochelle Gilmore when she’d only been racing for a year. Her results were okay in these open events but she realised if she was going to improve her skills she needed some help so she employed a coach in Bob Kelly who helped her cornering, hills, safety and racing. After coming third a few times, she got herself a first place in an open event spurring her onto the next level of the sport. Still not content Bec headed to the US where she raced with the US Specialized Women’s team for a couple of major events. This might sound glamorous but it’s actually quite a hard slog and done to gain exposure and experience. Bec paid for her own airfares, stayed with host families and had to return the team jersey after the racing was finished. 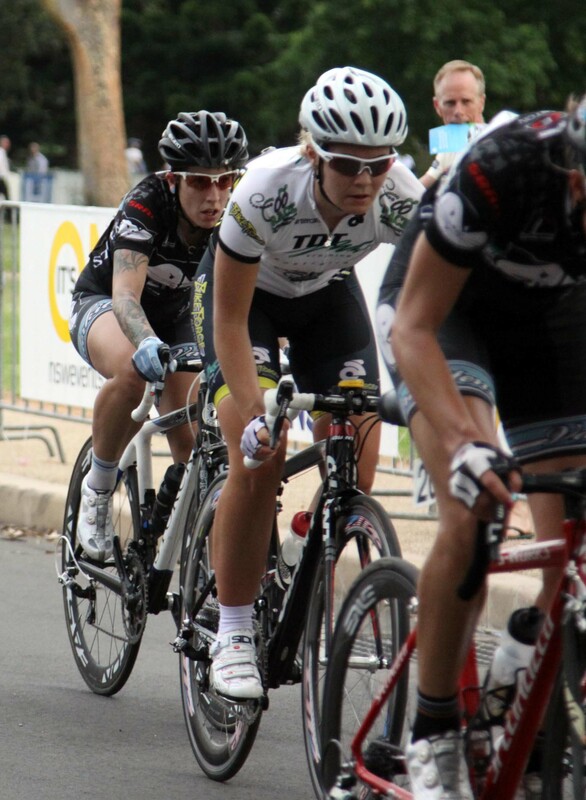 Following that she joined the National Road Series which is Australia’s highest domestic level. She rode for a couple of women’s teams but ultimately in 2010 she decided to hang up her racing kit and concentrate on forming a team of her own as a team director rather than a rider. From her experience as a team member she knew that women riders receive very little compared to their male counterparts. They got to most of their races by car pooling and were never at the peak after a long drive to an event like Glen Innes to Inverell. They also relied on volunteers rather than having helpers on these long trips. So Bec knew that the only way she could form a team was with strong sponsorship backing and that meant $20,000 to $30,000 for a domestic season. And while she hasn’t quite got to that level yet she’s managed to secure a title sponsor for the Bay Criterium Series in January. Her sponsor Degani Bakery and Café which Melbournites will know well, will be entering an Elite women’s and men’s teams for the four day event in the Geelong area. Bec will also be working closely with Cykel Events in running of the Women’s Grand Prix Series in Victoria which is four round criterium series for women running from December 2011 to March 2012. Locations include Melton, Cranbourne (run by Bec’s own club Caulfield-Carnegie), Bendigo and Campbellfield. Not getting the full team off the ground at this stage hasn’t dampened Bec’s enthusiasm. She’s still passionate about women’s cycling. She laments the fact that so few women make a full-time living from bike racing. Many young women head to the US or Europe and embark on a self-funded program in the hope that they’ll be spotted and picked up by a professional squad. For now Bec is content to enjoy her coffee rides after so many years of focused solo training. She’s also enjoying mentoring other women who are new to cycling. She’s involved in a women’s development program with the St Kilda Cycling Club. The first one on “Understanding bike racing” in September had 35 female attendees, proving that there is definitely interest from women. From Bec’s experience women want to know the ‘why’ and want to learn in a supportive and safe environment. Like many of us, she also realises that not a lot of the cycling industry is geared up for the specific needs of women. 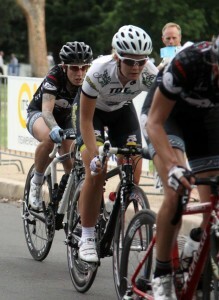 However, I feel more confident about the future with women like Bec having an influence on the cycling scene. Next Post:What type of bike for me?